1828-1835: Jefferson Davis was a Second Lieutenant in the Blackhawk war. December, 1845: Davis was elected to Congress. 1846-1847: Jefferson Davis returned to the military to be a general during the Mexican-American war. 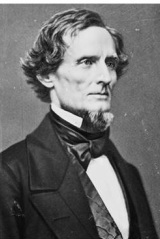 1847: Jefferson Davis was elected senator of Mississippi. May 10, 1865: Davis was captured by Union forces near Irwinville, VA.
May 22, 1865-May 13, 1867: Davis was imprisoned at Fort Monroe in VA.
Dec 6, 1889: Jefferson Davis died in New Orleans, LA of bronchitis, and was buried in the Hollywood Cemetery. 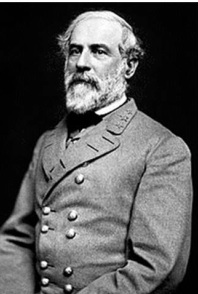 Apr 9, 1865: Lee was captured by Union forces at Appomattox Courthouse, VA.